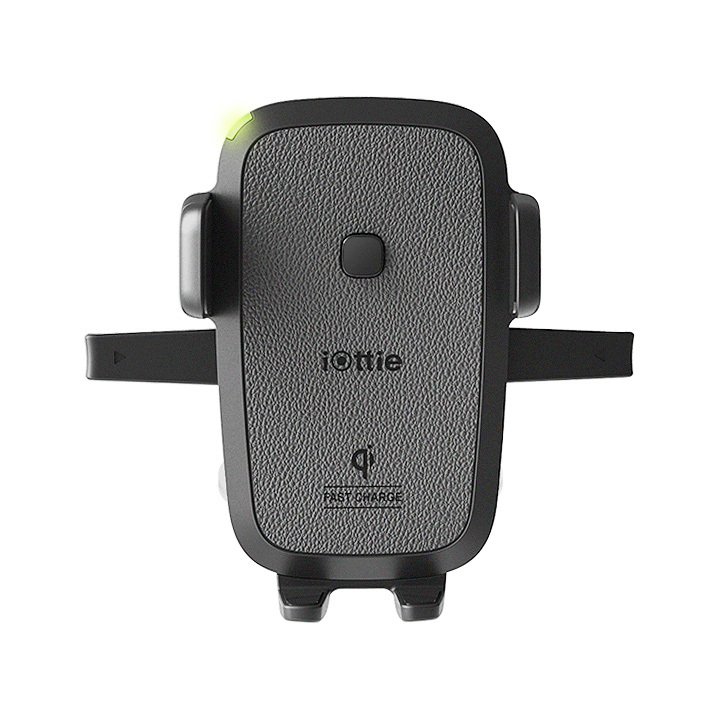 The iOttie Easy One Touch Wireless fast car charger mount for iPhone and Samsung combines the power Qi wireless fast charging technology with convenience Easy One Touch mounting system. 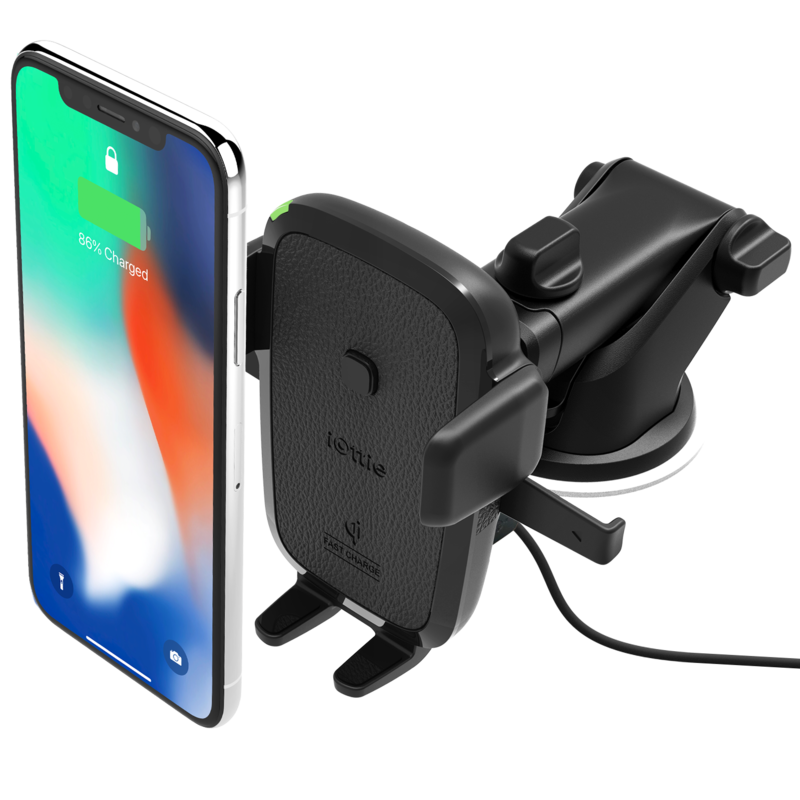 Designed for dashboards and windshield surfaces, the fast wireless car charger mount holds your smartphone by simply pressing the device against the Easy One Touch trigger button, locking the device in place to charge wirelessly instantly. 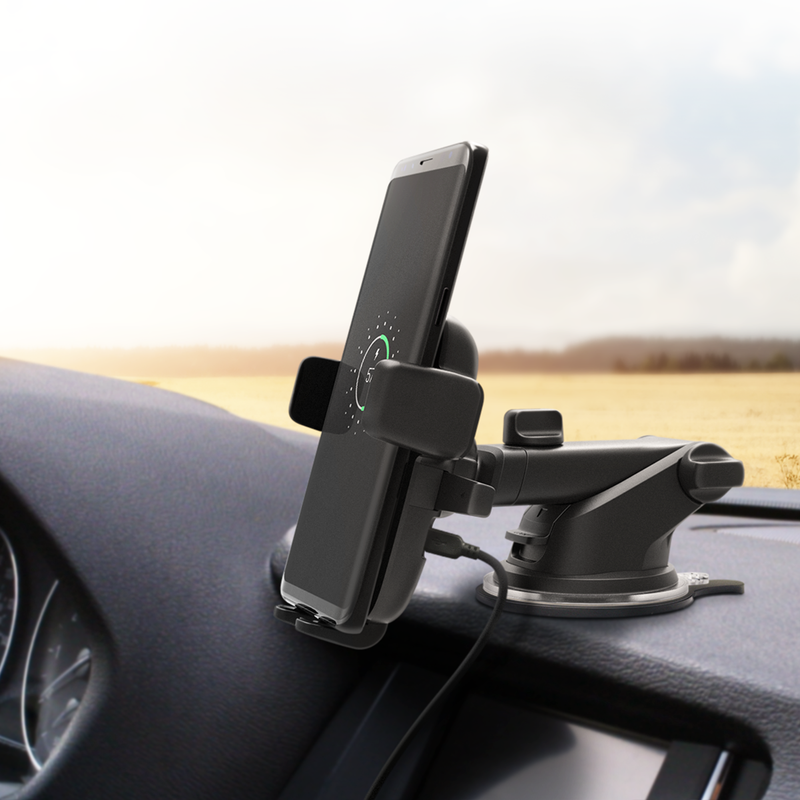 The wireless charging phone mount can be customized for your preferred viewing angles with a telescopic arm that extends and adds stability on the road. The Easy One Touch Qi wireless car charger mount is compatible with all smartphone sizes to hold and power your device securely while you drive. Featuring Qi Wireless Fast Charging technology, the car mount holds and charges smartphones 40% faster than a standard wireless charger. Mount or remove your smartphone from the wireless charging phone mount in seconds by pressing the locking side arms and placing the device against the trigger button. The Arms will automatically close, safely holding smartphones like iPhone or Samsung on the wireless car charger while you drive. 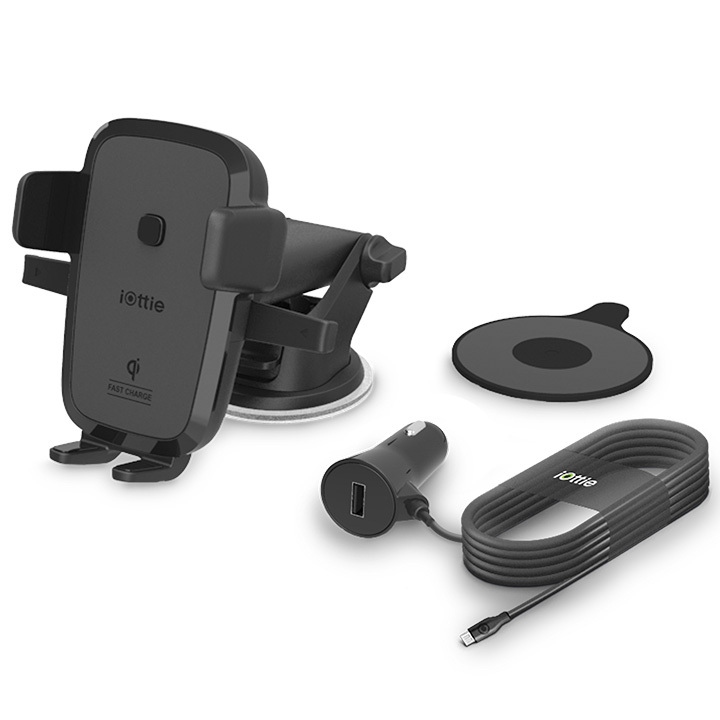 The Qi wireless car charger mount features a telescopic arm that can adjust and extend from 4.9" to 8.3" for better viewing angles in vehicles of all sizes. 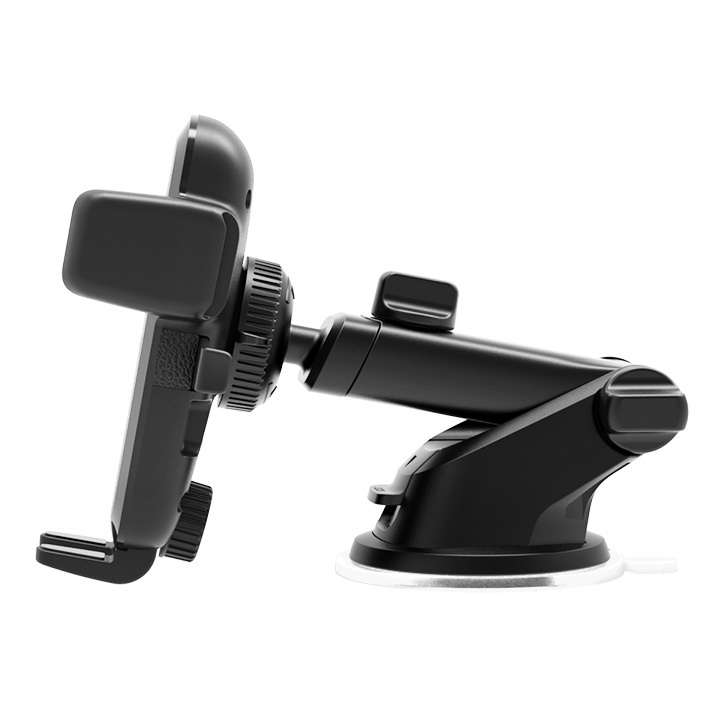 For added convenience, the arm also pivots on 225° arc to reach your desired viewing angle. 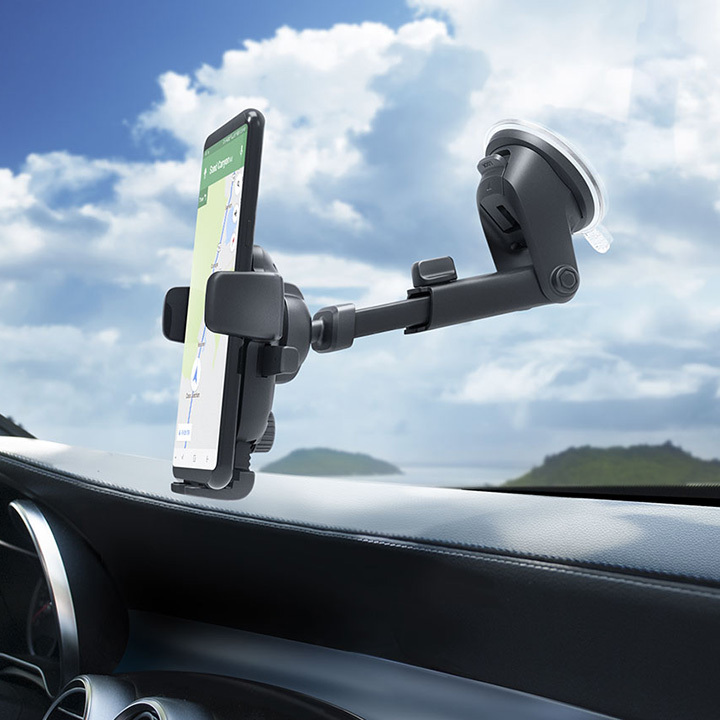 The car mount features a Suction Cup with a coating of sticky gel that prevents air gaps from forming and loosening the grip for a longer lasting hold. If your Suction Cup gets dirty, simply rinse in warm water and let air dry to restore its sticky surface. Foot position can be adjusted and locked into place, providing perfect alignment with the phone for efficient wireless charging when you mount. If side arms collide with the buttons on the side of your smartphone, the Foot can be removed for added customization.